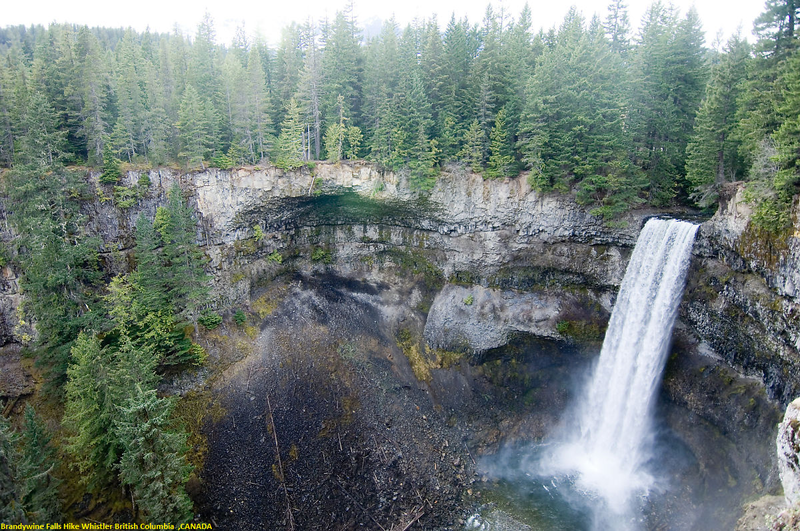 Brandywine Falls is an excellent pitstop on a journey up to Whistler for the view from above alone. The crashing falls come shooting out of a large basin carved out of rock. But, for those who are up for more of an adventure, the view is actually much better from below. Getting to the base of the Brandywine Falls Hike is not that difficult, but does require skirting a fence and scrambling down some slippery rocks… Make sure you’re wearing appropriate shoes.